Cellular Enhancement Systems, also known as Cellular Repeaters / Boosters, are a telecommunications solution used to extend and distribute the cellular signal of a given mobile network operator (MNO) within a building. Cellular Enhancement Systems are commonly implemented as a cost effective alternative to a distributed antenna system (DAS). In the United States, MNOs commonly supported by such solutions include AT&T Mobility, Verizon Wireless, Sprint Corporation, T-Mobile US, in addition to smaller regional carriers as required. Premiere most often offers the Cellular Enhancement / Cellular Repeater Option, for clients where the cost of a full-blown DAS implementation is cost-prohibitive. 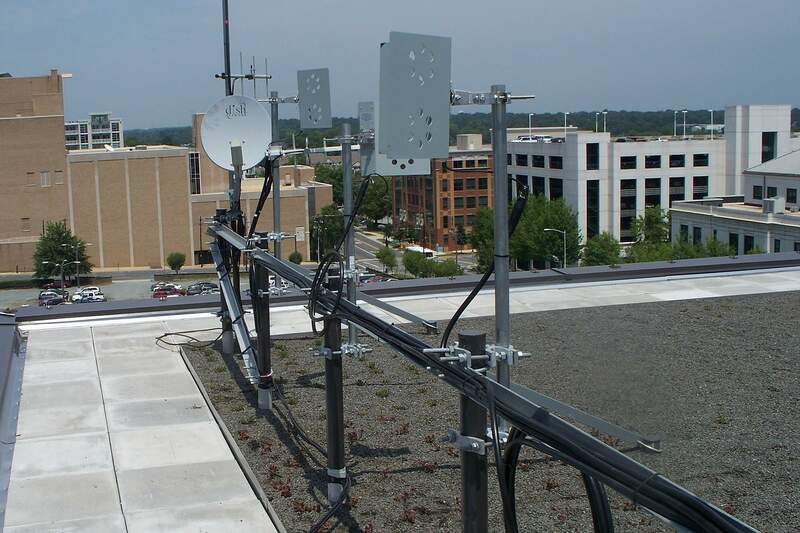 It is a cost effective and easily deployed system for isolated sections of a building, or small build-outs where coverage is an issue. Our experience has been that for the small (10,000-20,000 sq. ft. per repeater) tenant location where poor cellular coverage is present, this solution makes a really good fit. Many materials used in new construction projects (specifically the e-glass), tend to obstruct cellular signal, and we are seeing the problem arise as an afterthought to the tenant upfit process. Premiere can quickly respond to this issue with a cellular enhancement solution. When do you need this installation completed? What is your projected budget? $0-10K$11 - 50K$51 - 100K$100K +Not yet determined.